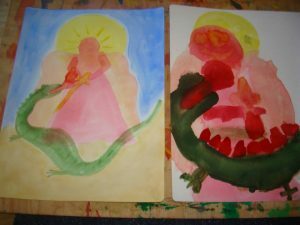 If you are celebrating Michaelmas with children you may enjoy some of these inspirations from our classroom albums. The following ideas are from our classrooms and Earthschooling member classrooms. Michaelmas is celebrated on September 29. Our featured picture this week is of two puppets. One is a dragon and one is a horse. They can be used year-round but we made them on Michaelmas. These are made out of felt and wooden spoons. It was a good beginning felt sewing project because it did not involve any 3-D work so the kids could draw their own pattern easily. I had them trace the spoon onto a paper and then draw an animal in that shape. THEN we pinned the paper to the felt and cut out their animal. Some kids just had the felt and some decorations. 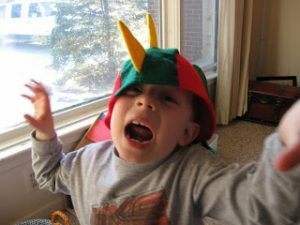 Older kids were able ot attach manes to horses and fire to dragons. 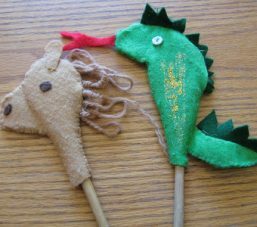 We read the story, The Dragon’s Gift and I started making a dragon for the kids to play and cuddle with. The pattern is in the back of the book here. It took me only 3 hours to make the dragon and that was with me being distracted! 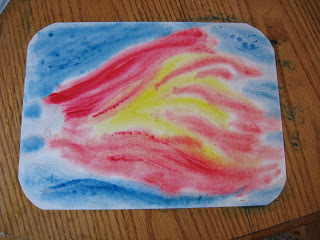 Our second project was do make a “dragon flame” painting using the wet-on-wet watercolor method. Earlier in the month I purchased some dragon “hats” made out of felt. These could be handmade if you have some different colored felt and some time. We did a play together. This painting is from the classroom of one of our Earthschooling members, Elizabeth J. The picture on the left is the one she created as an example for her child and the picture on the right is their version. Both are gorgeous! 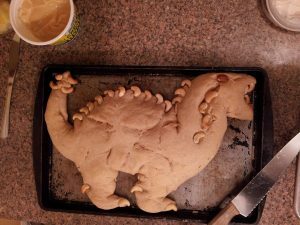 Earthschooling member Kimyko C. even included the bread shaping in her Michaelmas celebrations! 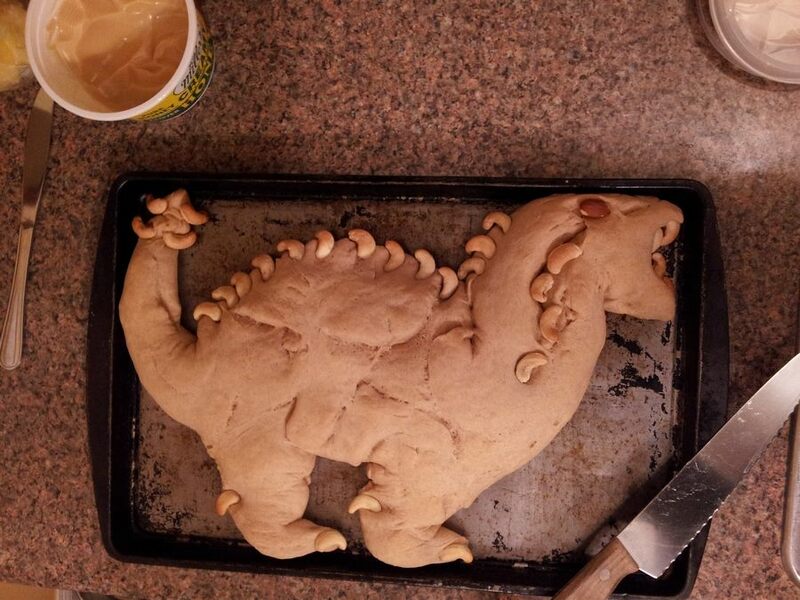 I think I would have had a hard time eating this adorable dragon!